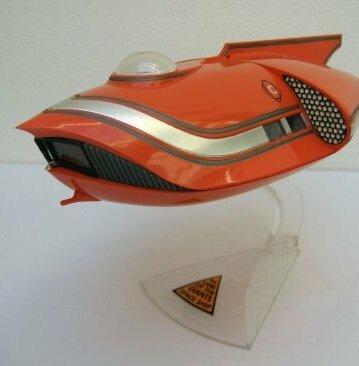 From the classic TV series "Land of the Giants", this is the Spindrift spaceship. 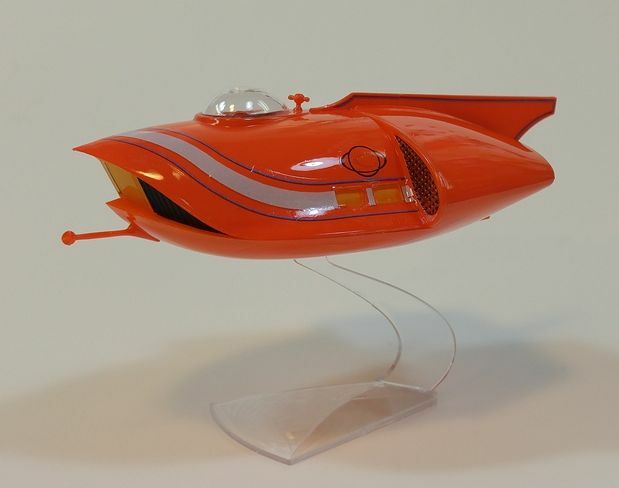 This is a completed model made from straight from the box. 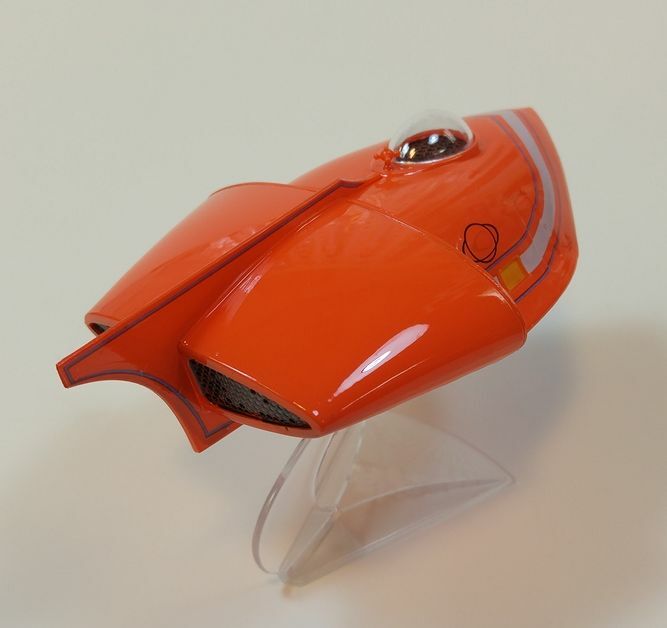 The model has a detailed interior complete with passenger compartment and flight deck with navigation controls and consoles. 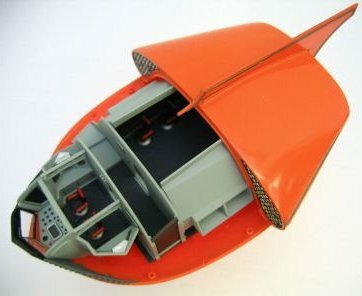 The interior can be viewed with the top of the body of the ship removed or through a small sliding door located on one side of the fuselage. The model has been expertly finished using bare metal foil for the silver stripes that run the length of the Spindrift. The kit measures about 24.5cm. in length approximately. 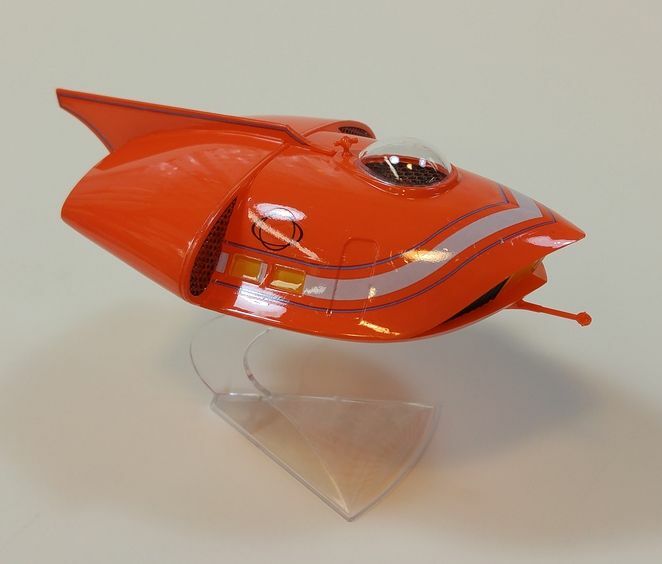 This is a fantastic model that will make a wonderful addition to any Sci-Fi model collection.